We carry a vast stock of readymade curtains covering an extensive range of designs from traditional brocades and florals to contemporary designs and eyelet headings. With up to 70% (factory store) off RRP there is something to suit every taste and every budget. Plus we also offer an alteration service to tailor the size to your specific requirements. All at highly competitive prices. 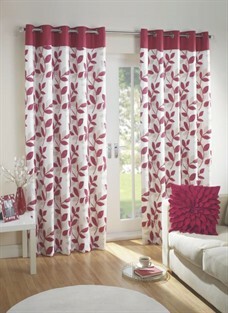 Lined voile curtains and unlined voile panels. Florals, checks, stripes and modernist abstract. Heavy pocketed and woven brocades. Hundreds of designs and styles to choose from.